We've decided to have some Forum T-Shirts done up for Forum Members to purchase and promote this Site. We will be looking at other apparel and accessories as time goes on and we have the funds to do so. T-Shirts will be "JB Wear" Fitted Tees. 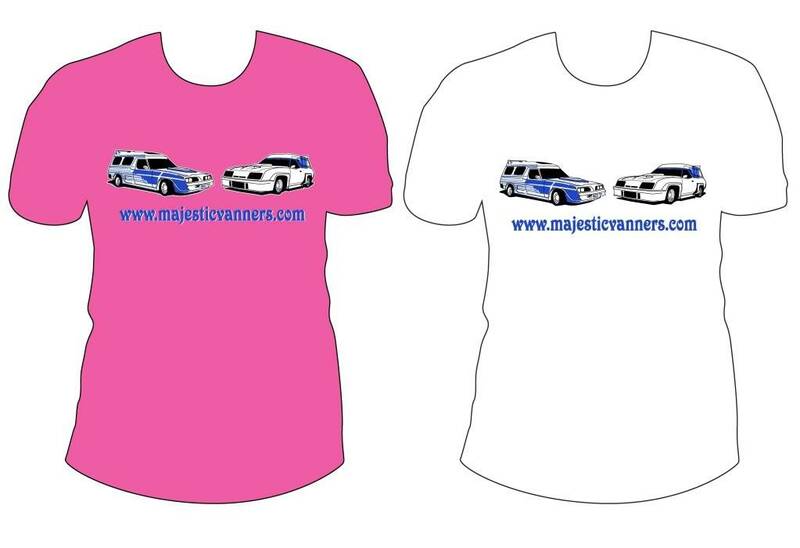 There is a range of colours that you can choose from, but we thought we'd start off with Hot Pink for the Ladies and White for the Men. You can choose another colour from JB's selection before we Order. Price is $30.00 plus Postage and Handling at $6.60 (within Australia), so we've rounded it off to $36.00. The minimum Order is for ten (10), so we will wait for Pre-orders approaching that number before we placed the Order. If you wish to purchase one, please reply below or send me a PM. Hope that you like them and want one. Me for one as well thanks not the pink though! I have your names and sizes on the List. I had a bit more details added. For a bit of Fun, Name the Differences. Number plate and stripes on Checkmate? The Zodiac wrote: Number plate and stripes on Checkmate? one question,? are the white t/shirts "wet t/shirt" white?? We can send Wet Ones if you so desire. Apart from that I have no idea what you're thinking. Or could it be like this or a combination thereof? Update: We can do T-Shirts and/or Singlets for $25.00@ plus P&H if we can get a few Ordered. Minimum quantity we need to order is ten (10), but if we get enough interest we can keep a few in Stock.